Over the last few years, Syfy has become a repository of reality shows, professional wrestling, and half-assed monster-of-the-week creature features. That’s about to change in a big way, as they’re finally getting back into the habit of producing original science fiction content instead of just spewing out mediocre nonsense. One of their upcoming projects, the undead drama Z Nation, has just added a trio of new actors to the cast list. The Z, of course, stands for zombies. Harold Perrineau (Lost), DJ Qualls (Hustle and Flos), and Tom Everett Scott (That Thing You Do) have signed on to the show, which is currently in production in Spokane, Washington, and join Michael Welch (Twilight) and Kellita Smith (Roll Bounce). 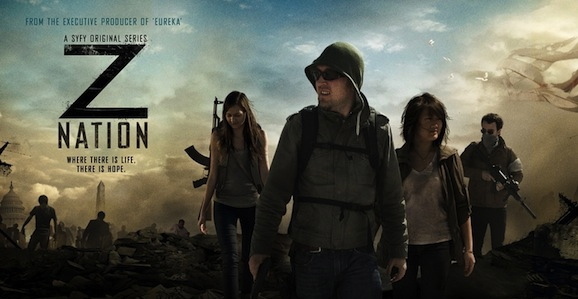 The Asylum, yes, the people responsible for such cinematic treasures like Sharknado and Titanic 2, is behind this series, their first foray into television. Which gives many of us pause, and rightly so. 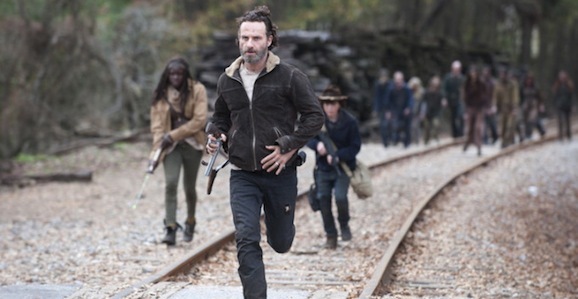 Given that the ratings for AMC’s zombie drama The Walking Dead have continued to get better over the course of the first four seasons, we’re in for many more years of the misadventures of Rick Grimes (Andrew Lincoln) and company. A planned spin-off promises to expand on this world, but the core show is bound to continue far into the horizon, and we have an idea of just how far this run could continue. Producers say they have already mapped out the series as far as the 12th season. 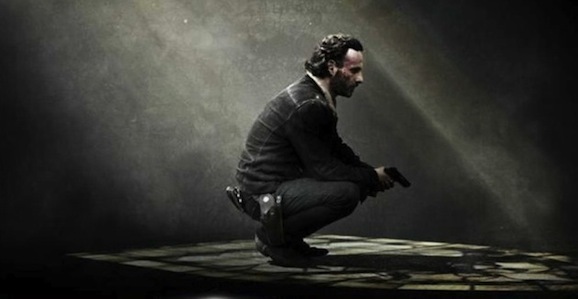 Which Walking Dead Character Will Be The First To Die In Season Five? AMC’s hit zombie drama The Walking Dead is notorious for killing off major characters. Maybe they don’t take it to a Game of Thrones level, but if you’re a character on the show, you can never be entirely comfortable that you won’t get offed at the drop of a hat. While there were a fair share of fireworks during season four, the body count, at least for main characters, was relatively low—there were, however, a number of people added between season three and four that were little more than canon fodder. The most recent season ends on one hell of a cliffhanger, with most of the survivors in immediate peril, and we may now know who the first big death of season five is going to be. It should go without saying, but there are significant SPOILERS beyond this point, both for the show and Robert Kirkman’s comic book that serves as the source material. You’ve been warned. Season four of AMC’s hit zombie drama The Walking Dead hasn’t been in the books for very long, but the wheels are already turning on season five. The next chapter of undead action is currently filming outside of Atlanta, though it won’t return to our TV screens until this October. There hasn’t been a ton of news about the gang’s upcoming adventures, but they production has released a new photograph from the set. 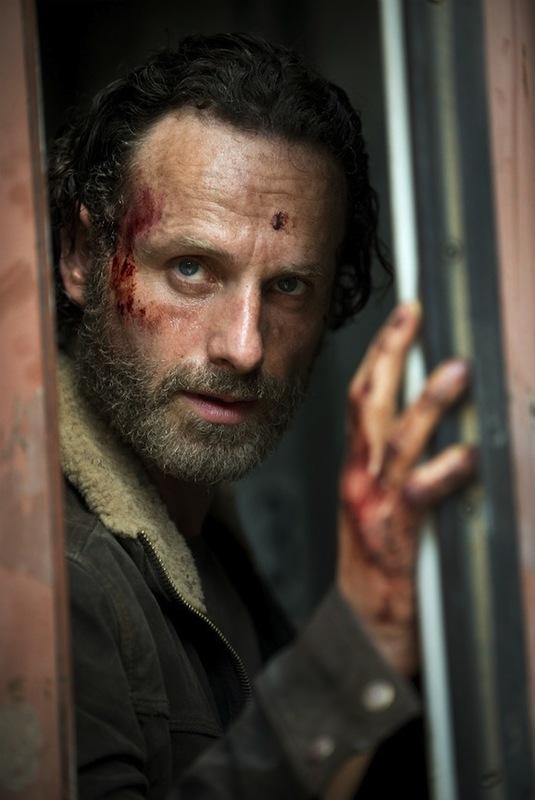 This image gives you a glimpse at the show’s protagonist, former sheriff Rick Grimes (Andrew Lincoln). Season four was a bit of a rough patch for Rick, especially the second half. He got beat up pretty good and at one point wound up in a minor coma—when it comes to comas, is there really such a thing as a minor one? From the look of this picture, it doesn’t appear that things are going to get much better any time soon. Well that didn’t take very long at all. Season four of AMC’s hit zombie drama The Walking Dead is barely in the books, but that has never stopped the producers from moving forward, and the series has already added another cast member for season five. And yet again, they’ve poached some talent from HBO’s The Wire. I guess it isn’t really poaching, since The Wire is dead and gone, but they’re definitely mining that talent pool. Seth Gilliam, who played detective Ellis Carver on the classic cop show, has been cast as a series regular next season. In addition to this news, Telltale Games has also released some new screenshots of the newest installment of their The Walking Dead video game. Deadline reports that Gilliam, who has done turns on Law & Order: Criminal Intent and Teen Wolf in his years since The Wire wrapped up, will play a character named Michael Todd. That isn’t his real name, which is being kept under lock and key, but the report speculates that he could be Gabriel Stokes, a priest who joins the crew, that is assuming they get out of that sticky situation in Terminus in one piece. When filmmaker George Romero directed Night of the Living Dead over 40 years ago, there’s no way he could have known how many people would: A) take his undead characters, call them zombies, and put them in every conceivable plot device; and B) use his “of the Living Dead” title to spice up their own zombie-related work. (Not to mention all the puns, like 1990’s Night of the Living Bread.) Syfy is heading into a new territory for zombie media with the upcoming comedic docuseries Town of the Living Dead, which will chronicle a filmmaker’s troubled attempts to create a piece of art, in this case a zombie movie called Thr33 Days Dead. But this isn’t just some hack film student trying to gross his friends out; this is a passion project for an entire community. Town of the Living Dead will film in the small town of Jasper, Alabama, where many of its citizens, especially director John M. Ware, have spent the past six years of their lives trying to turn Thr33 Days Dead into a full independent feature.